University of Nigeria, Nsukka makes history again. Lion Science Park, the first university-based science park in Nigeria held her maiden board meeting on the 17th of July, 2018 at the University of Nigeria, Nsukka campus. The Board membership is predicated on the triple helix concept and thus has representatives from the public sector, private sector and the academia. The Vice Chancellor, University of Nigeria Nsukka, Professor Benjamin Ozumba has brought to fruition the many innovative ideas he conceived since the last quarter of the year 2016. A major mandate of the University of Nigeria and other higher institutions/research resource centers is to provide the knowledge backbone for industry, commerce and society. This mandate has become even more urgent especially in view of the current global emphasis on the need for a progressive paradigm shift to innovation-driven and knowledge-based economy. 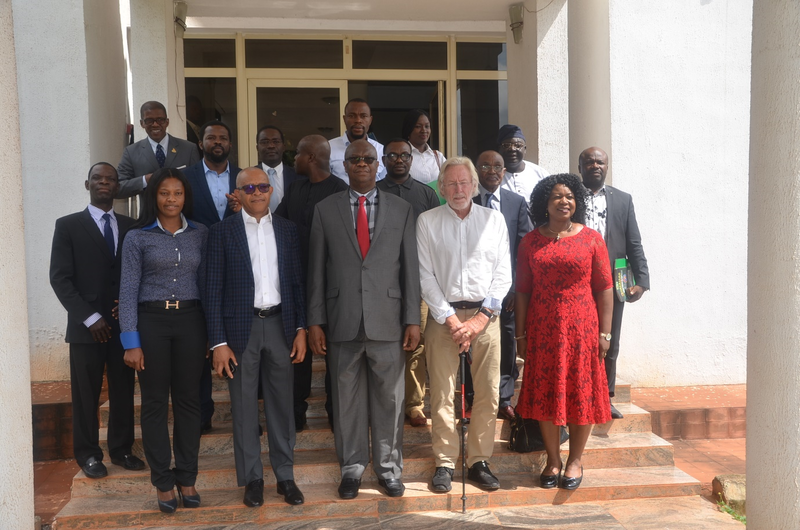 It is in pursuit of this mandate that the University of Nigeria established the first university-based Science Park in Nigeria (the Lion Science Park) with advisory support from Ideon Science and Lundavision both in Sweden. The Lion Science Park (LSP) is expected to encourage regional, national and international scientific Research and Development (R&D) initiatives by supporting alliance and interaction amongst academia, industry and government. It is expected to create strategic synergies with private, public and institutional research institutes/centers seeking to optimize their R&D activities by collaborating with researchers, research groups and research institutes in Nsukka, Enugu and Ituku-Ozalla campuses of the University. The Science Park is designed as an innovation hub, an economic transformation initiative and a sustainable development project in line with the United Nations SDG 17. The Park will provide graduates with direct and unhindered access to specialized innovative infrastructure of the highest standard, exposing them to an outstanding training opportunity for applied scientific innovation and entrepreneurial skills. To ensure synergy and sustainability, the Lion Science Park Board membership comprises top representatives of the government’s Ministry of Science and Technology, top industry players from the private sector and seasoned professors from the academia. The Lion Science Park Board practically demonstrates the triple helix model. Engr. (Dr.) Emeka Okwuosa, the 1st Vice Chairman of the Board said “I am happy that this is happening in Nigeria. This is what we need at this time; providing high quality research output for home-grown solutions to the problems of industries and businesses in Nigeria. I am pleased to be part of such an economic transformation initiative geared towards capacity building and national development which Oilserv Group is known for. We shall continue to support this noble cause for the efficient and effective actualization and commercialization of the project”. Mr. Emeka Ugwuoju, the 2nd Vice Chairman of the Board said “I am very excited about the Lion Science Park, where the academia meets the private sector for collaborative effort for the rapid industrialization of Nigeria”. “Being in the innovation business for 35 years in Sweden, the speed of what’s happening now with Lion Science Park is impressive. I am proud to be a board member of this crucial thing happening in Nigeria” said Dr. Sven-Thore Holm, the founder of Ideon Science Park, Sweden. “It was a successful meeting, with very high expectations for the Science, Technology and Innovation System in Nigeria. What I saw at Roar Nigeria Incubator only reminds me of what I saw in Shanghai recently” said Mr. Anpe Fut, a board member representing the Federal Ministry of Science and Technology. “This is a revolution for the future, Roar Nigeria Technology Incubator already has 12 startups working on great ideas across sectors and a lot more applications for our incubation program are received daily. It should be pointed out that Lion Science Park is already globally recognized as a member of the International Association of Science Parks and Areas of Innovation (IASP) and also has tenant companies such Huawei Technologies: Huawei Authorised Information and Network Academy (HAINA) and Mirai Denchi. HAINA trains certified candidates on Huawei Technologies and so far, a number of students and staff of the university are already certified through this program” said Chinwe Okoli, the manager of Lion Science Park.